Mark is a fantastic, patient instructor. 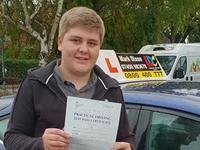 He has built up my confidence and enabled me to pass my test first time today. I've really enjoyed my lessons with Mark, I'm actually going to miss them!! 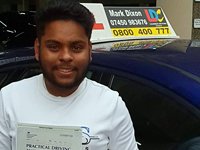 Mark went through mock tests to ensure I was ready and that really helped me on the day of my test as I knew exactly what to expect. 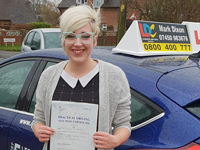 I wouldn't recommend anyone else if you are looking for a first class instructor. Highly recommend! Mark is a great instructor. Very patient and kind and helped to put my mind at ease before the big test! Thank you so much for helping me get on the road, Mark! Thanks for all your help would recommend you to my friends very calm and made lessons fun. Mark was a great Instuctor, calm and thorough with his teaching. Extremely friendly and suits your needs and ability, would recommend to anyone! I felt confident going into the exam thanks to my lessons. I was well prepared and felt at ease with the examiner. Highly Recommended! 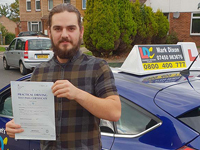 I had taken out a semi intensive course which was 10 hours, and mark was amazing, he is very calm and takes his time, I would definitely recommend!!! 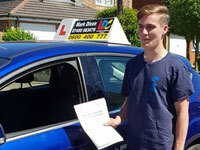 Passed 1st time with Mark with only 1 minor. Mark is patient, calm and kept me relaxed through out my lessons and test. I’d recommend him to anybody who is looking to pass either manual or automatic! Thank you so much Mark I’ve loved every minute of my lessons learning with you! 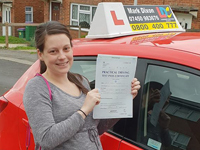 Excellent instructor lessons were relaxed and fun a big thank you to Mark for helping me pass first time highly recommended. 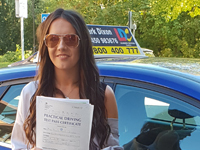 Excellent instructor, very patient and understanding passed first time, not your typical driving instructor who pulls over every 10 minutes he wants you to drive, highly recommended to anyone wanting to learn to drive. Comment: Thanks jay thats the way you wanted to do your lessons and with client centered learning at the fore thats how i did it for you, they are your lessons and it was how you wanted to learn, i am happy you enjoyed them and were succesfull. 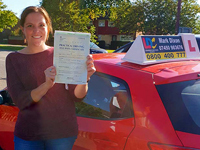 I had my 1st driving lesson with Mark in June and passed in September, less than 3 months. Mark is an amazing teacher and i would thoroughly recommend him to anyone, he has the confidence in you even when you don't and makes you feel calm even when things get scary. He's very clear with instructionsand and has endless amounts of patience. Lessons would always be stress free and he always arrived on time to pick me up and was true to his diary. I would thorougly recommend him to anyone. 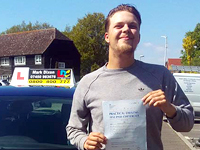 Mark is a very patient instructor and has always been happy to help me understand each lesson. 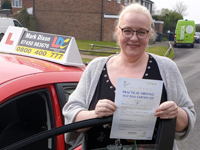 Mark is very easy to talk to and very good natured, each of my lessons with him have been fun which has created a relaxed atmosphere and helped me to learn better and put me at ease while driving. 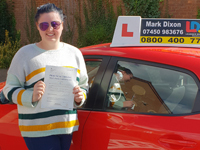 I have found i am more confident with my driving and have a can do attitude towards it rather than i cant attitude and i feel Mark has contributed to this. In each of my lessons i have felt safe and secure knowing that if anything were to go wrong Mark is more than capable of stepping in to put things right. 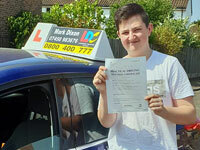 I passed first time with Mark today, he is an excellent teacher and I got on with him so well! He does automatic and manual lessons for reasonable prices! 110% recommend, you won't be disappointed!! I had instructor Mark Dixon and couldn’t have asked for a nicer guy. He was friendly, supportive and taught me everything I needed to know. Really pleased with the service received. Great instructor really helped me in my lessons, would highly recommend to anyone looking for any lessons. 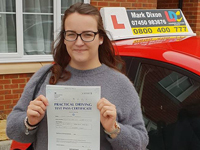 First automatic driving lesson with Mark Dixon today! He is absolutely brilliant and I loved it! Will be booking in more definitely!! 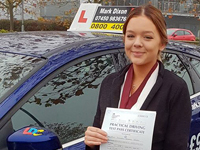 Very reliable friendly driving instructor did unsociable hours to fit around my busy work schedule and was happy to do so.would definitely recommend to others an very thankful to him as I past first time with no troubles. Top fella. 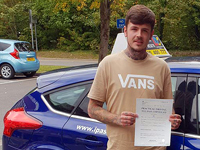 Great drive after a heavy weeks intensive course it all came together at the end and a great drive with only 5 minor faults well done Brandon.